Governor Rick Snyder signed two bills into law that weaken voter initiatives to raise the minimum wage and require paid sick leave for workers. Republican legislators passed the initiatives into law in September to prevent them from going on the ballot. That allowed them to extensively amend the measures. An increase of minimum wage to $12 an hour by 2022 will be delayed until 2030. The current minimum wage is $9.25 per hour. The original voter initiative would have also increased wages for tipped workers from 38% of minimum wage to full regular minimum wage by 2024. The bill signed by Snyder keeps wages for tipped workers at 38% of minimum wage. It also removes a provision that would have matched annual increases in minimum wage to inflation. The sick time measure was altered to increase the number of hours people have to work to earn an hour of sick time. Under the original initiative, workers would have earned an hour of sick time for every 30 hours worked up, to a maximum of 72 hours per year. The final version of the law allows workers to earn one hour for every 35 hours worked up to a maximum of 40 hours per year. The bill also excludes smaller businesses from being required to provide earned sick days. The term-limited Republican governor's move Friday is sure to prompt a lawsuit over an unprecedented strategy adopted by lame-duck lawmakers. Supporters of the bills say the changes were necessary to help Michigan businesses stay competitive. But critics say it's an unconstitutional attack on voters' will as Michigan and Wisconsin Republicans are trying to dilute the powers of incoming elected Democrats. Watering down laws on minimum wage and paid sick leave remain at the top of the Republican agenda as state lawmakers return to work next week for their lame duck session. Legislators passed the two measures in September to avoid letting Michigan voters decide at the polls. By doing so, state lawmakers have more power to alter the laws. Danielle Atkinson is part of the campaign that tried to put paid employee sick leave on the November ballot. She says Republican lawmakers are not listening to them. Proponents of paid sick time in Michigan want to rally support before state lawmakers try to tinker with the new law after the November election. The Michigan Legislature returns for the start of its lame duck session Wednesday. There are several items on the agenda, including possibly amending laws to raise the minimum wage and to require paid sick leave. Pete Vargas is with Michigan One Fair Wage. He says legislators should leave the laws alone. “We really hope and charge our legislators to avoid an expensive legal battle and just do what they are supposed to do and uphold the ballot initiatives and the spirit of the language it was adopted in,” says Vargas. Republican lawmakers in Lansing have been criticized lately, because they adopted two ballot proposals in September on minimum wage and paid sick time – and then passed bills to significantly change those measures. It’s left some to wonder how fair our ballot initiative process is. One lawmaker has introduced a bill that he says will increase transparency and accountability in the ballot petition process. 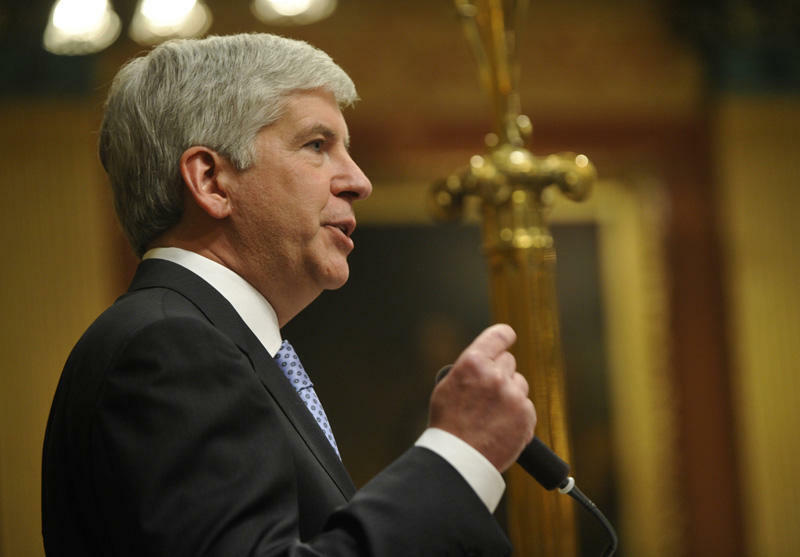 Governor Rick Snyder will now decide whether to approve major changes to voter initiated laws. Ballot proposals that would increase the state’s minimum wage and require employers to offer earned sick time were adopted by the Legislature in September. Now lawmakers have passed bills to limit their impact. The efforts were met with opposition as protesters filled committee hearings and yelled in the halls of the Capitol. They’re frustrated that an initiative they wanted on the ballot is now being changed – and quickly – by lawmakers that aren’t coming back next year.